Hall of Fame of Poker game Doyle Brunson had a session of a wild cash game. This happened on Tuesday evening in Las Vegas. Here is the detail what happened on the evening of Tuesday. 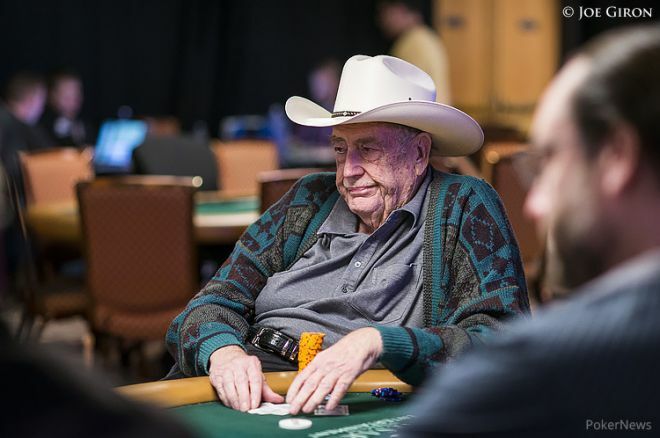 Doyle Brunson is now 83-year-old and was playing poker in Las Vegas. He spoke about a contestant in the event without revealing his identity. Burnson used his twitter account and said he saw a player in the event who run just three big bets in the mixed game of $2,000-$4,000 up to a the stack of $550,000. Brunson did not even reveal about the person had originally bought in for. Brunson said after a minute of this incidence he witnessed two players unnamed of high-stakes get into an argument. The argument became so strong that they threw the chips of poker whose cost was $150,000 onto the floor. The entire incident happened in the Bellagio’s poker room. In his other twit Brunson said he was playing in the game and he lost about $150,000 there. The comment Bruson o twitter does not reveal anything about any false things happened to him, but, yes Brunson has some doubt in his mind about his losses. Brunson has taken the retirement from World Series of Poker tournaments. However, the player can seen competing in high stake games in Las Vegas. Brunson is ten time winner of WSOP and has a huge career winning amount. Last year, the player was targeted by the robbers when he won a high stake event in the Las Vegas. He informed about the incident to the police. Though, in the robbery, Bruson did not lose anything because the won cash amount was not at home. Burson says he used to carry a pistol with him all the time.